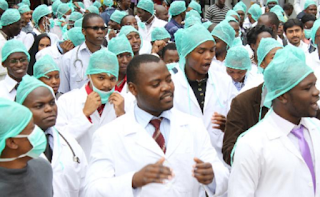 A recent meeting between the doctors’ union and the Government which was held on Tuesday failed to bear fruit with the doctors surprisingly announcing they are ready to resign if things do go according to their wish. However, as the meeting came to an end, Kenya Medical Practitioners, Pharmacists and Dentists Union (KMPDU) Secretary General Ouma Oluga said they had met the CS but no agreement had been reached. “Yes we have met the Labour CS Kandie but no deal yet,” Dr Oluga said. This led to some doctors saying they were ready to quit unless their demands, which also include promotions and the hiring of more health personnel to address a shortage, will be met as promised. Dr Oluga said that no amount of intimidation can and would make them return to work without their demands being fulfilled. Currently the country has about 4,000 public sector doctors serving a population of more than 40 million,which translates to one serving up to 10,000 people. This goes against the World Health Organisation’s recommendation of one doctor per 2,800 people. 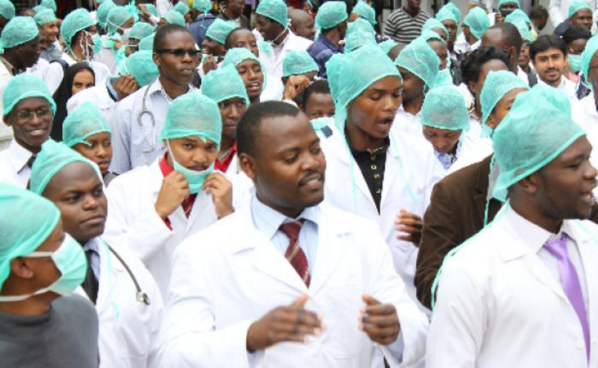 If some of the doctors quit as their threatened, the situation could get even worse considering Kenya has been losing doctors to other countries offering better working terms.